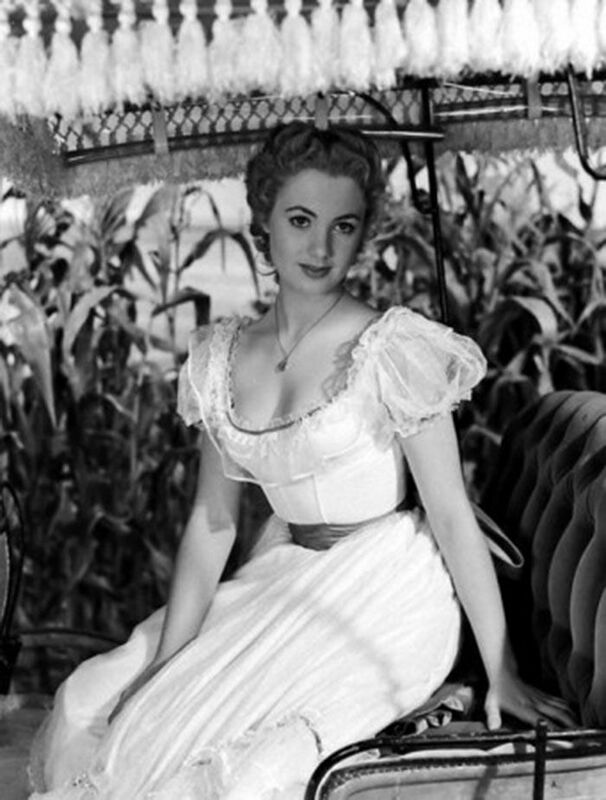 Do you remember when you were a little kid and and gazed enamored at a bride’s gown on the big screen? Let’s be honest – we all still do that! In all this admiring, we’ve found there is a fountain of destination wedding inspiration in our favorite films because movie wedding gowns are always dazzling and unique, just as a traveling bride wants to feel. So here are just some of our favorite movie wedding dresses that we believe are consummate destination wedding gowns. No rule says you can’t wear long sleeves to your destination wedding! 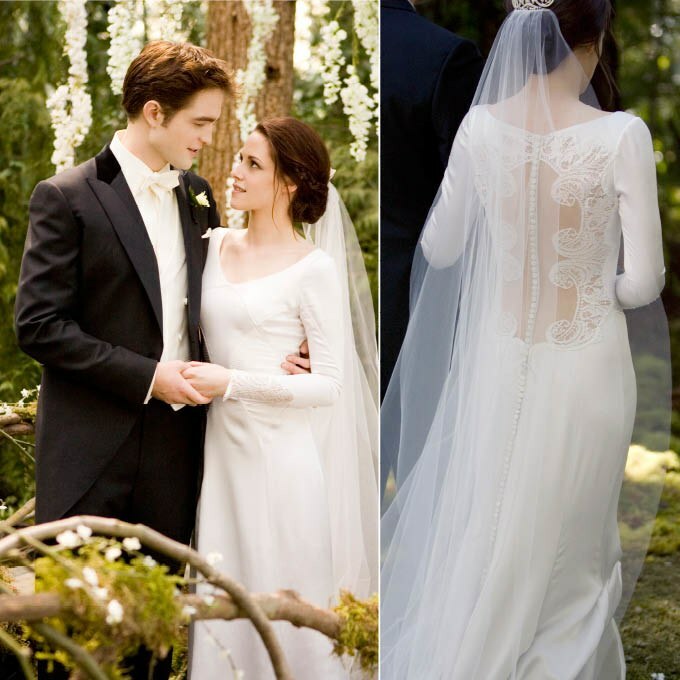 There’s a simple elegance to Bella’s gown in The Twilight Saga: Breaking Dawn – Part 1 that pairs perfectly with the laid-back feel of a destination ceremony. This design works best if your ceremony location is air-conditioned, but an open back will keep you surprisingly cool even if you’re a beach bride. This look always has us singing! 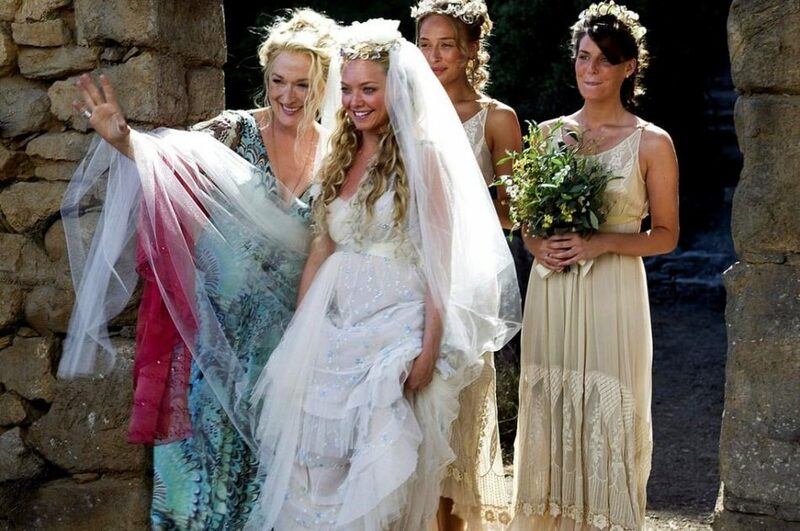 Amanda Seyfried’s Sophie glows in this ethereal gown from Mamma Mia!. From the empire sash to the flower crown veil, we can picture this bohemian ensemble on any golden sand beach. Katherine Heigl in 27 Dresses proves that a wedding gown does not need to be elaborate to wow. Destination wedding brides know the power of accessories, like her character does here with the skillfully placed flowers in her hair. The exposed arms and dramatic V-neck also make this gown apt for sunny outdoor weddings. The wedding dress from The Notebook, even though it only makes a short appearance, is absolutely iconic. The off-the-shoulder gown with its illusion buttons and allover lace is pure classic elegance. This is another great example of how destination wedding brides can have a dress with a traditional style and make it wearable in a tropical climate. Yes, we’re cheating a bit on this one! This may not be Laurey’s wedding dress in Oklahoma!, but that doesn’t stop it from giving us major destination wedding vibes. The sheer ruffled shoulders have a feminine touch that elevates this dress to wedding worthiness. Just add flowing locks and a flower crown and you’ve got yourself a modern version of vintage charm. 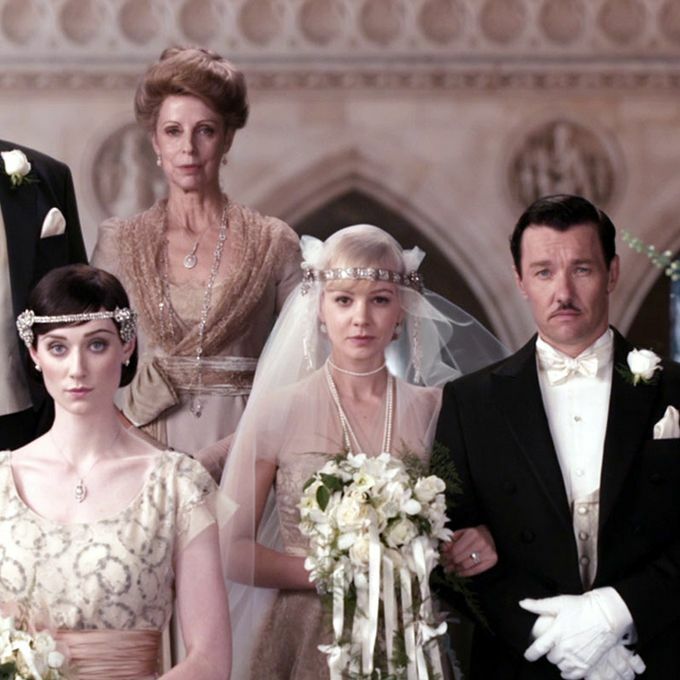 The glamour of the 1920s will always inspire us and it’s in no shortage with Daisy’s dress in The Great Gatsby. We could go on and on about how amazing pearls look with beach photography (very Ariel from The Little Mermaid on top of the 20s look). 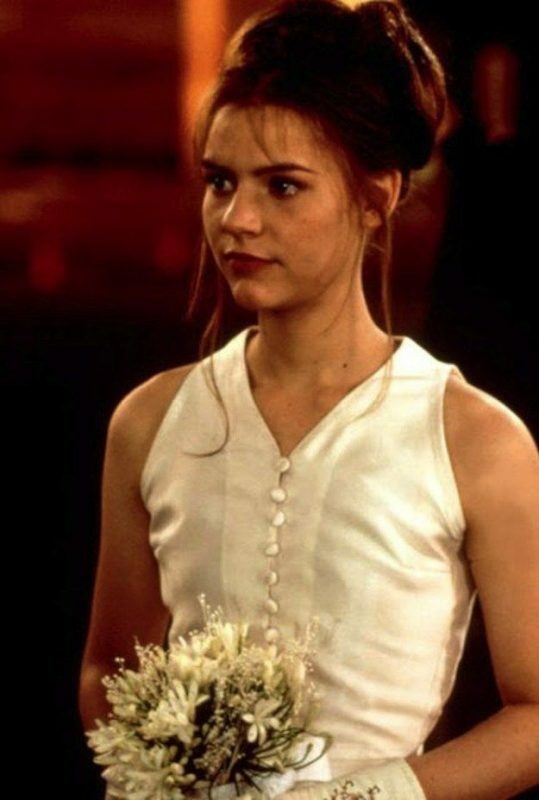 Have you ever seen a more 90s wedding dress? Claire Danes proved the material and cut could carry the whole gown. Plus we love the short glove pairing. Just a caution, a satin gown won’t breathe incredibly well, so we don’t suggest bell sleeves here! Keira Knightly can truly pull off anything. This sheer ensemble from beloved romantic movie Love Actually is definitely eccentric, but we feel destination weddings are the perfect environment to go daring with your wedding gown. Remember, whether you go modern or classic, have fun with it and pick a gown that is uniquely you!